Hi folks. It’s been awhile since I have posted a proper update. 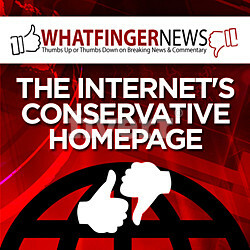 I did post the update about DC Clothesline moving to a conservative-friendly web host last week, in case you missed it. If you did, both of our sites are now part of conservative-friendly networks which means they won’t be deleting our websites from the Internet. We are still trying to expand amidst the bat-stuff-crazy censorship, but it’s frustrating. I can’t hide that from you. I am a stressed out mess, but fighting these guys like hell because there is no other choice. Several days ago I had this crazy idea to start our own social network and host it on our servers. I asked my webhost and they say that the site will handle it easily. Anyway, I was tinkering with it and installed it. It’s still very rough so I was going to let it sit until I could “shine it up.” It was sitting there unpublished. Twitter has started suppressing our traffic even further, dropping us from 500-600 visits a day to less than 50 from our Twitter Followers. If you’d like to follow us, in theory, click here to join the other 15,000 followers that are not seeing our tweets. To give you an idea of how this has all worked out, if you go back a few years we were averaging 40,000 Facebook visits and about 5,000 Twitter visitors every single day. Those numbers have become around 500 from Facebook and roughly 50 from Twitter in recent days. And they say Conservative Censorship is a conspiracy theory? Today I hit some more snags and suspect that One Signal (our push notifications provider) isn’t sending notifications to those on the list, at least not all of them. We were publishing really good articles and not getting a single person to click through to read it. Hopefully that was just a glitch, but it pushed me over the edge. I went ahead and started Clothesline Social. It’s a “Facebookesque” social network that is totally contained within the DC Clothesline site. That means no censorship. The site is raw. I haven’t figured out how to make it look right yet. I’m still having problems removing some of the ads and share buttons. But the site is functional. We will add things like private friends lists and groups later. These upgrades cost money that I just don’t have to spend currently. They are not a ton of money, but things are that tight right now. Please support your favorite conservative sites by sharing their content and making donations to keep them going. If you’d be able even $5 or $10, we would appreciate it and you can donate to us here. We are expanding as fast as possible and I have a vision that someday DC Clothesline and DC Dirty Laundry will be cornerstones in the foundation of a large truth-based, freedom-loving community. You get to help and watch this grow. Thank You so much for your support. Rome wasn’t built in a day, and it will get better, but please take a moment and visit our new FREE SPEECH social community by visiting us at CLOTHESLINE SOCIAL. Tell us what’s on your mind or share some content with us to help get this going.